This systematic review aimed to determine if non-pharmacological interventions can impact upon older stroke survivors quality of life. From 28 trials we identified limited evidence supporting a beneficial impact upon quality of life from additional physiotherapy and occupational therapy. Very limited evidence supported the use of a wide array of other non-pharmacological therapies. Current evidence is limited by low study quality and small sample sizes and more trials specifically involving older stroke survivors are required. The efficacy of non-pharmacological stroke rehabilitation approaches for older stroke survivors is largely unknown, particularly in relation to psychosocial outcomes such as quality of life. 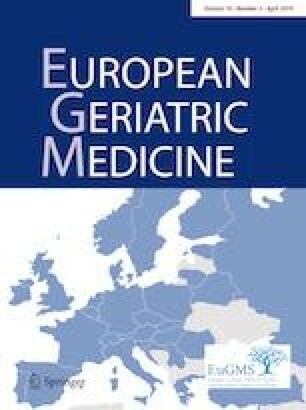 This systematic review examined the evidence for such interventions as part of the Optimal Evidence-Based Non-Drug Therapies in Older Persons (ONTOP) project conducted under an European Union funded project called the Software Engine for the Assessment and Optimisation of Drug and Non-Drug Therapies in Older Persons (SENATOR) [http://www.senator-project.eu]. Thirteen experts in geriatric medicine, as part of a Delphi panel, agreed quality of life to be a critical outcome of stroke rehabilitation. A comprehensive search strategy was developed and databases were searched for eligible systematic reviews from which trials meeting our criteria were identified. Eligible papers were then double reviewed. Due to heterogeneity, narrative analysis was performed. Cochrane risk of bias and GRADE assessment tools were used to assess bias and quality of evidence. We identified 28 trials, spanning ten types of intervention. Limited evidence supports the use of additional occupational therapy and physiotherapy, with very limited evidence supporting our recommendation to explore caregiver training, constraint-induced movement therapy, device-assisted physiotherapy, and self-management education further. Limited evidence suggests a range of non-pharmacological interventions may improve the quality of life of older stroke survivors. However, evidence is limited by low study quality and the small number of studies targeting older stroke survivors. We recommend future studies explore such interventions exclusively in older adult populations and improve methodological and outcome reporting. The online version of this article ( https://doi.org/10.1007/s41999-019-00180-6) contains supplementary material, which is available to authorized users. This review was completed as part of a series of systematic reviews conducted as part of the SENATOR programme, a collaborative project funded by the European Union under the 7th Framework Programme (FP7/2007-2013) under grant agreement number 305930 (www.senator-project.eu). The funder had no role in study design, data collection and analysis, decision to publish, or preparation of the manuscript. No informed consent was necessary for the study.